Welcome to Tea with Mrs B, an author interview series. Here to share a pot of tea and to chat about her brand new book, Small Blessings, is Emily Brewin. Hello, Goodbye is her first novel. Her second, Small Blessings, was released with Allen & Unwin in February 2019. She has been awarded an Australian Society of Authors Emerging Writers’ and Illustrators’ Mentorship for her fiction writing, and has been shortlisted for Hachette Australia’s Manuscript Development Program and Varuna’s Publisher Introduction Program. She was recently awarded a 2018 Bundanon Trust artist residency to develop her third novel, The Piano. 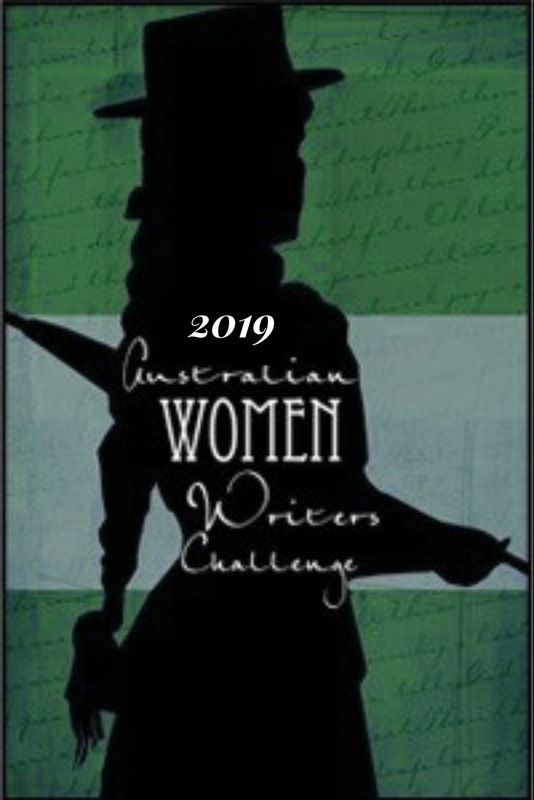 Emily’s short stories have been short listed for a number of literary awards, including the 2019 Margaret River Short Story Competition, the 2017 Bristol Short Story Prize, the Alan Marshall Short Story Award, Overland’s Fair Australia Prize and the Elyne Mitchell Writing Awards. She has written for a number of publications including, Feminartsy, Meanjin, Kill Your Darlings, Mamamia, Shine, Metro and Screen Education magazines. Hello Emily. It is my pleasure to warmly welcome you to my blog, Mrs B’s Book Reviews. Thank you for joining me for Tea with Mrs B, an author interview series. To set the mood for our tea infused interview, what is your preferred beverage, tea, coffee or other? And side accompaniment, scone, cake or other? My go-to is a latte with honey on the side. At times, I get strange looks at the honey request but once travelled to Turkey where no one batted an eyelid. In terms of an accompaniment, a croissant, scone or baked cheesecake would be ideal! I write adult fiction that falls in the social realist genre – that is, fiction that explores real-life issues as way of understanding them. My first novel, Hello, Goodbye, investigates the practice of forced adoption in the 1960s alongside the anti-war movement in Melbourne. My second, Small Blessings, explores the power of female friendship in the face of domestic violence and infertility. I have published two novels and am currently working on my third. Small Blessings is your latest novel. Can you describe it in just a sentence? Small Blessings is the tale of an unlikely friendship between two women and the things we do for love. What came first in the creation of the novel – the title, plot, characters or setting when you first set out to write Small Blessings? My main characters, Isobel and Rosie, came first. The novel grew out of a short story I wrote about two women from very different socio-economic backgrounds and a missing shoe. This story was prompted by a Blundstone boot I spotted while driving down the Monash Freeway to my parent’s house. I was interested in the dynamic between the two female characters in my short story and wanted to explore it further. How long did it take you to write Small Blessings? Strangely, the first draft of Small Blessings was written very quickly – in about three months. I was going through a separation at the time and writing the book was cathartic as well as a great escape from reality. It took around three years from that first draft for the book to be published. As mentioned, my characters evolved from the ones I had written in the short story. More importantly though, they are women I’ve known, observed, worked with, befriended and loved. They are made up of equal parts, real and imaginary. I wanted them to be complex and human, the way we all are. I often felt pressure to do justice to the themes I was writing about, as things like domestic violence, caring for a child on the autism spectrum and infertility are a reality for many women. I also interviewed extensively to ensure my characters were authentic. I wanted to honour the people I spoke with by getting the facts right. What do you hope readers will take away from reading Small Blessings? It sounds a little cliché but Small Blessings is really about not judging a book by its cover. It’s about looking past our pre-conceptions and prejudices to the person beneath, and the human experiences we have in common. I’ve always loved reading and writing but didn’t think I should take writing seriously until a wise woman suggested I give it a red-hot go. I enrolled in an online course that led to a short fiction course at RMIT University. This short course gave me the confidence to workshop scenes from a piece I was writing, now Hello, Goodbye, as well as the experience needed to apply for RMIT’s Associate Degree of Professional Writing and Editing. This fabulous course is taught by authors, publishers and editors, and was my first real introduction to the literary world. It was here I developed my manuscript to publication standard. The manuscript was knocked back a couple of times but was eventually picked up by my agent, Gaby Naher, and publisher, Allen and Unwin, after I reworked it. Yes – don’t wait for inspiration. Getting words down on the page is more about hard work and discipline then being hit by a bolt of creative lightening… although, it’s nice when that happens! I’d like to write a non-fiction book one day. I have a background in journalism and often write feature length pieces. I haven’t got a specific idea in mind yet though. What is next on the horizon for Emily Brewin? Do you have any writing projects you would like to share with us? I have almost completed a third fiction manuscript, which explores youth homelessness. I’m also playing with a few short story and non-fiction article ideas. There’s so many to choose from but on my bedside table are Sonia Orchard’s Into The Fire and Carly Findlay’s Say Hello. I’m also looking forward to Melanie Cheng’s upcoming, Room for a Stranger. I love the late 1960s. The literature, music, art, fashion and politics of the time presented an exciting backdrop for the progressive social changes that were occurring. I’d love to have a pot of tea with my Grandmother. She was a kind, strong, intelligent and inspirational woman whom I miss very much. Thank you for taking the time to visit Mrs B’s Book Reviews for Tea with Mrs B Emily. Congratulations on the publication of Small Blessings! What a great interview! Very enjoyable. I absolutely adore books that explore real life issues. After reading one I always feel I’ve learnt something. Another fabulous interview opportunity, I have been blessed lately! This is a great life lit novel, you will definitely feel like you have explored real life issues after reading this. It has a great take away message too.